YOUR PORTABLE CINEMA - Enjoy your own portable IMAX cinema through WiFi and Bluetooth with the super fast speed with RK3399 CPU operating system. Even more convenient than 3D viewing glasses. Watch 3D movies and play games on a crystal clear 2K screen with 360° virtual immersive experience while sitting, standing, lying, at the comfort of your home, office or while traveling. ADJUSTABLE FOCUS - Fully PD (Pupil Distance) Adjustable - The RtTech VR9 Glasses offers pupil distance adjustments with wide FOV to expand the viewing angle and perfectly match focal distance while taking care of your eyes. The Eye-protected lenses with unparalleled clarity will make your VR movies an ultimate experience without risking the health of your eyes. SUPER COMFORT - The RtTech VR Headset is fitted with a super comfortable and balanced Headstrap. The strap is adjustable so you can adjust the straps to get just the perfect fit, which will make you feel much more comfortable while enjoying movies and games. The VR9 comes with 3800mah battery capacity which will give you the VR experience for many hours. 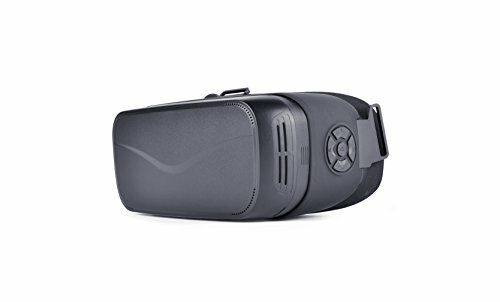 100% SATISFACTION GUARANTEED - Whether your VR Headset is not performing as you wished, or you are not satisfied with your purchase for any other reason, just contact us and we will get you a full refund or replace the VR Headset at no extra cost - No questions asked. If you have any questions about this product by RtTech, contact us by completing and submitting the form below. If you are looking for a specif part number, please include it with your message.